Tyler, Bartl & Ramsdell, P.L.C. Tyler, Bartl & Ramsdell, P.L.C. is a well-known bankruptcy firm serving the entire northern Virginia area. Located in Alexandria, Virginia since 1986, our firm specializes in all forms of bankruptcy cases and proceedings, and provides assistance to individuals and businesses seeking financial relief under Chapter 7, 11, 12, or 13. Robert O. Tyler and Richard A. Bartl formed the firm with two others in 1986. Robert Tyler served as a Chapter 7 panel trustee until his retirement in 2016, and Richard Bartl served as a Chapter 7 panel trustee until his retirement in 2013. 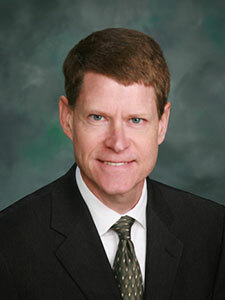 Steve Ramsdell joined the firm in 1993, after having served as the judicial law clerk for the Honorable Martin V.B. Bostetter, Jr., Chief Judge of the U.S. Bankruptcy Court for the Eastern District of Virginia, Alexandria Division. Representation of debtors, trustees, creditors, and other parties in interest (such as asset purchasers) in bankruptcy cases. Bankruptcy litigation, including adversary proceedings (such as nondischargeability cases) and contested matters (such as motions for relief from stay, objections to exemptions, motions to assume or reject executory contracts, motions to sell assets, and Chapter 11 and Chapter 13 plan litigation). The economy has presented financial challenges to individuals and businesses across the country. As unemployment, inflation, and daily costs of living rise, property values and economic opportunities sometimes fall, leaving many people in financial straits. With few other options available, bankruptcy may present a viable solution to problems involving debt and negative cash flow. Individuals may utilize personal bankruptcy for purposes of seeking a financial fresh start, free of the burdens (with some exceptions) of existing indebtedness. Such relief typically takes the form of a Chapter 7 or Chapter 13 bankruptcy filing, although Chapter 11 may be appropriate in more complicated situations. Businesses that struggle from an inability to pay rent, taxes, vendor claims, trade debt, and general bills may pursue bankruptcy relief under Chapter 7 for purposes of undergoing a formal liquidation or under Chapter 11 in an attempt to reorganize and thereby remain in business. For more than 30 years, Tyler, Bartl & Ramsdell, P.L.C. has helped thousands of individuals and businesses resolve their financial difficulties. While filing for bankruptcy is often a last resort and a very personal decision to make, our firm has the experience and patience to assist you in weighing your bankruptcy and non-bankruptcy alternatives to satisfy the needs of you, your family, or your business. Put a halt to creditor collection actions. Stop harassing phone calls demanding payment. Protect your property and your income. Protect your most valuable assets, such as your home and vehicles. Cure mortgage arrearages and catch up on past due obligations. Break a lease with no further liability. Reduce or even strip off liens on your vehicle or home. If you call us at (703) 549-5000, we will help you understand your rights. We provide an initial consultation at no charge and with no pressure to hire us thereafter. Don’t suffer any longer. Call today.